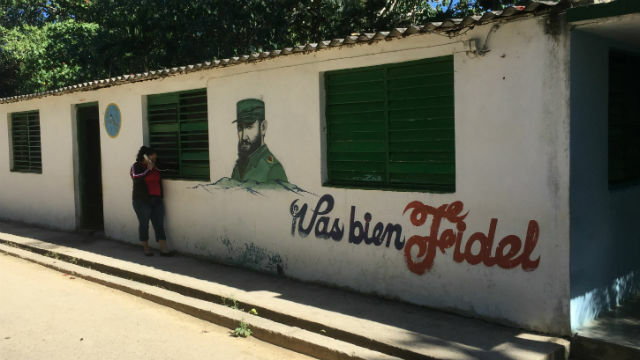 HAVANA, Cuba — Time heals all wounds, maybe even the ones that have festered for half a century between Cuba and the United States. Quite by coincidence, my wife and I landed in Havana last Wednesday morning for a long-planned, six-day cultural tour of Cuba. As we exited Jose Marti Airport, our tour guides were talking excitedly about the announcement earlier that morning that our two countries would renew diplomatic relations. “I cried with happiness when I heard the news. My whole family was crying,” said one tour guide. Every person we talked to in the tourist industry was speculating about the impact, beginning with a likely move to make the Cuban peso a convertible currency. Many said that what was so important was taking the first step after so many years. In a crowded farmers market in Old Havana, one of the vendors in this small outpost of private enterprise, showed us the iPhone 4 he bought in Miami and was fascinated by my wife’s iPhone 6+. He said he hoped to get one with the changing politics. The joint announcement by U.S. President Obama and Cuban President Raul Castro was quickly criticized by politicians with ties to Cuban emigrants living in Florida. “These changes will lead to legitimacy for a government that shamelessly continuously abuses human rights but it will not lead to assistance for those whose rights are being abused,” Sen. Marco Rubio, a Florida Republican, told Fox News. The revolution has clearly been a mixed blessing. Cuba is a desperately poor country, with the average monthly income of just $20, but by all accounts health care and education are excellent. Every morning a visitor sees groups of children walking to school in uniforms that would not be out of place at at American parochial school. 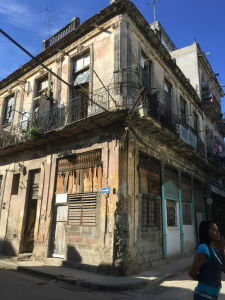 There are a number fancy, European-financed hotels and restored buildings in Old Havana, but many homes and buildings are rundown, even partially collapsed, with chunks of plaster missing from walls and piles of debris neatly swept into corners. Clunkers from 1950s Detroit and 1980s Russia continue to ply the streets, kept running with ingenious makeshift parts. Cuban communism is looking dated as well. In last Friday’s international edition of the party newspaper — “Year 56 of the Revolution,” the masthead proudly proclaims — an elderly Raul Castro appears in stiff pose with five Cuban prisoners released by the United States. In the Museum of the Revolution, a life-size diorama of Fidel Castro and Che Guevara fighting in the mountains gathers dust. 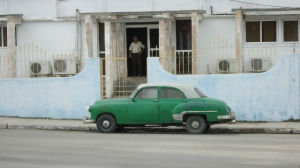 The American relationship with Cuba is like the faded museum displays and classic cars on Havana’s streets: seemingly frozen in time. The strategy is to use the economic embargo to force Cubans to renounce communism and embrace democracy and private enterprise. Maybe it has already succeeded. Capitalism is creeping into the open in the form of private restaurants, a few small stores, taxis, street vendors and car-repair shops. 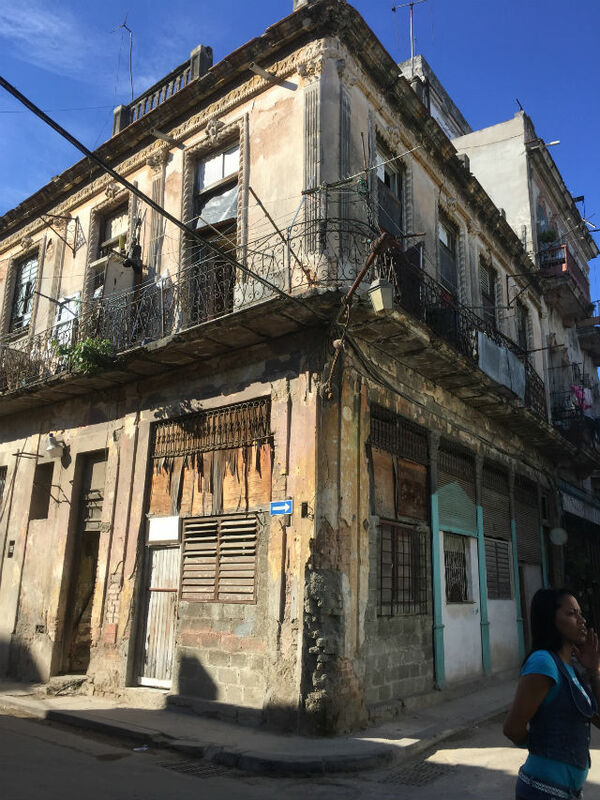 Since 2011, Cubans have been allowed the buy and sell their homes — so long as they can come up with the cash purchase price. The government continues to control the media, but cellphones are proliferating and Internet access is available, though expensive. Pope John Paul II’s 1998 visit opened up religious practice after decades of communist-encouraged atheism. “Sooner or later, this is going to change,” said one Cuban we talked with, making an expansive gesture to to indicate the entirety of Cuban life. Ending the embargo may be difficult, especially with many in Congress committed to the half-century status quo, but the Cuban people are counting on America. Chris Jennewein is the editor and publisher of Times of San Diego.